Singapore, April 6, 2018 ̶ REC Group, the leading European brand for solar photovoltaic (PV) panels, yesterday welcomed illustrious guests to the ground- breaking and contract-signing ceremony for what promises to be one of Singapore’s largest-ever rooftop solar installations. Singapore’s Senior Minister of State for the Environment and Water Resources, Dr Amy Khor, spoke at the event, commending REC’s leadership on climate action in the country, and its pledge to support Singapore’s Year of Climate Action. 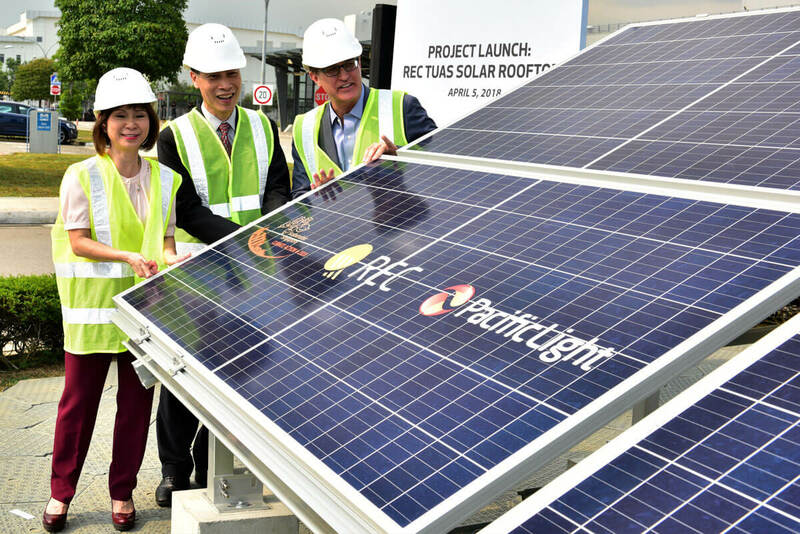 The new installation on the rooftops of the REC factory in Tuas is projected to go on grid in August, and will be built in partnership with Singapore-based power company PacificLight Energy. In this partnership, PacificLight Energy will build, own and operate the solar installation as part of a blended supply package to REC. REC is expanding fast in Singapore. Since 2010, when REC opened the Tuas plant, capacity has grown by 170%. In 2018 REC plans to produce 1,500 MW of modules in the factory. The 4.3 million solar panels produced by REC at Tuas last year can cover an area of 8.6 km2 – the rooftop space of 21,500 HDB blocks in Singapore. Worldwide, REC has now built a total of 7.6 GW of solar panel power, generating 10 TWh and saving 4.3 million tons of CO2 emissions every year.